As part of our efforts to support and encourage young Australians in study, careers and volunteering in international agricultural research, the Crawford Fund State Committees proudly support our International Agricultural Student Awards. The 2018 recipients of these Awards were announced in May, and we are enjoying the process of sharing the journey of these 22 dynamic Australian tertiary students as they gain international agricultural research experience and expertise. Throughout 2018 and the early part of this year, the successful Award recipients will travel to their host countries to research and explore their chosen topic areas. You can follow their progress here on the Crawford Fund website and read more about their findings, learnings and any challenges they encounter. To-date we have featured the experiences of University of Western Australia student, Christian Berger; Queensland University of Technology PhD candidate, Thomas Noble; University of Melbourne student, Kimberly Pellosis; Luisa Olmo from the University of Sydney; Rachael Wood from Charles Sturt University; University of Melbourne student Ziyang Loh; Lucinda Dunn from the University of Sydney; Jessica Fearnley from the University of New England; the Australian National University’s Jacinta Watkins, University of Queensland Honours student, Tamaya Peressini and most recently, the University of Adelaide’s Mathu Indren and University of the Sunshine Coast PhD student Samantha Nowland. Now, thanks to The Crawford Fund NSW Committee, we deliver this summary of Charles Sturt University student, Brooke Kaveney’s experience in The Philippines where she completed the International Rice Research Institute’s (IRRI) Rice Research to Production course. 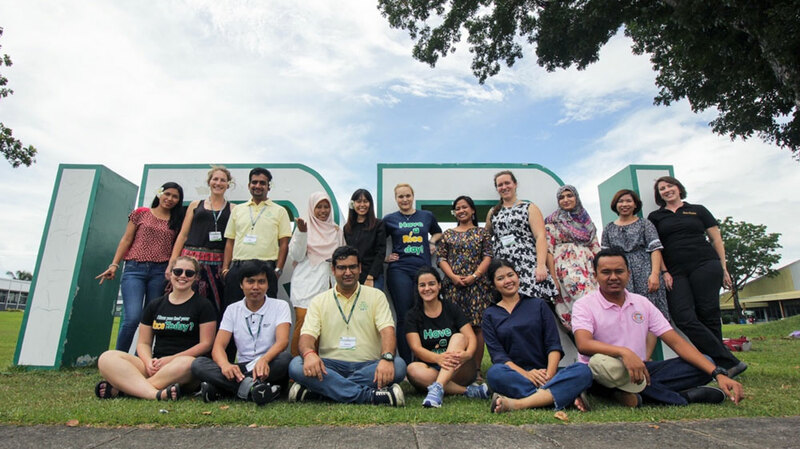 IRRI Course participants from all around the world, August 2018. Brooke Kaveney attended the ‘Rice Research to Production course’ at the International Rice Research Institute in August 2018 with two other Australian university students, who were also supported by the Crawford Fund. “This course provided fantastic opportunities for myself and many international young scientists interested in agriculture and rice production. Throughout the three weeks we were trained by leading researchers in every facet of rice production, from trait selection and breeding right through to improving harvesting efficiency” said Brooke. The Australian participants of the Rice Research to Production course, all funded by the Crawford Fund, visiting the International Rice Genebank. Brooke attended the course with another 17 young scientists who were from India, Indonesia, Thailand, Vietnam, America, Chile, Philippines, England and Australia. Brooke found the opportunity to interact and travel with other like-minded students was a genuine highlight of the course with positive benefits for the future. “As a large group we all attended training and weekend trips throughout the duration of the course. Being exposed to enthusiastic like-minded researchers was a fantastic opportunity to further expand scientific networks and broaden my research understanding. I have remained in contact with many of the course participants and hope that the time spent together at IRRI may provide opportunities for future collaborations. Similarly, being exposed to leading researchers in rice research allowed the opportunity to develop networks that I would previously have never had access to,” she said. The hands-on nature of the course really appealed to Brooke and the other Australian attendees, who enjoyed plant pollination in the laboratory, visiting the gene seed bank, getting muddy trying traditional and modern planting methods, and learning about grain storage techniques. “We were exposed to scientists that were key in developing rice varieties throughout the green revolution as well as the revolutionary golden rice and we were fortunate enough to interview local rice farmers about challenges regarding rice production and work as groups to brainstorm scientific proposals that focused on these issues,” she said. 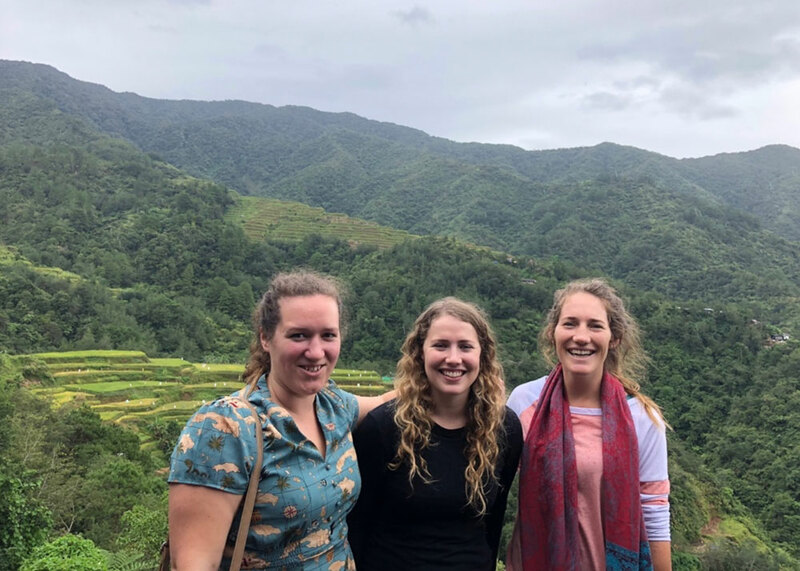 The Australian participants of the Rice Research to Production course, all funded by the Crawford Fund, visiting the rice terraces of Banaue. “Although my current PhD research is primarily focused on soil biochemistry, I am involved in rice sustainability projects in Vietnam. Before attending the course, I had a basic understanding of rice research but lacked the breadth and depth of knowledge regarding the more intricate facets of rice science. 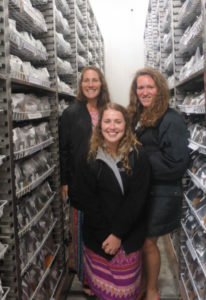 The course explained in detail how various traits are picked depending on particular requirements and consequently how a breeding program is then formulated to develop a new variety,” she said. “Opportunities like this not only improved my scientific knowledge but also helped develop skills in proposal writing, project budgeting and group leadership. I left the course with a detailed yet broad ranging knowledge of both rice research and production. I feel it would be difficult for me to attain the equivalent level of knowledge and opportunities that was presented in this course outside of the IRRI Rice Research to Production training,” said Brooke. “This course was a fantastic opportunity and I cannot thank the Crawford Fund enough for offering such a generous scholarship. It provided a high intensity, engaging learning environment that anyone interested in rice production would benefit from attending. I gained many different insights in rice research but more than anything, gained a great appreciation of the important role agricultural science plays in improving global food availability,” she concluded.